VPN is a great for boosting online security, defeating Internet censorship and bypassing geo-blocking. It’s not difficult to set up a VPN connection on a PC, a mobile phone or a tablet. However, for VPN users, there’s a very basic question: How do I know if my VPN is working? In addition, there’re some other commonly asked questions, such as: How do I test my VPN? How to test my VPN’s speed? At VPNDada,com, we have used many different VPN services. VPN testing is one of our routine tasks. We test VPNs from China and recommend VPNs China Internet users can rely on. In this article, let’s talk about VPN testing. In particular, we will show you some common and easy ways to test your VPN. How to Test a VPN for Unblocking Websites? For most VPN users in China, probably the main reason for using a VPN is to bypass the GFW blocking. As we all know, popular websites such as Google, Twitter, Facebook etc. are all blocked in China. We use VPNs to unblock them. 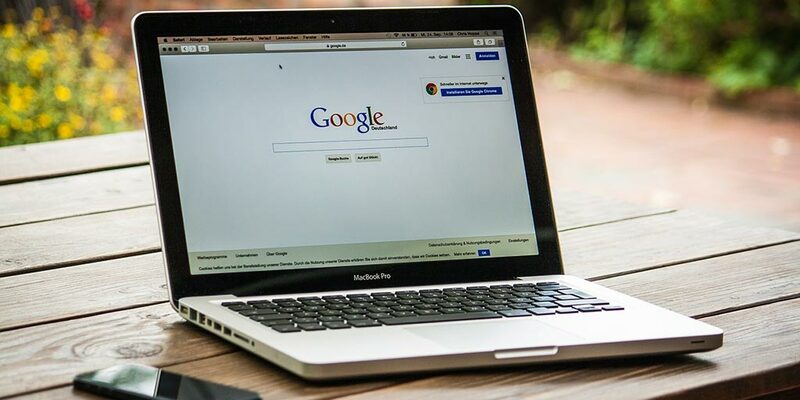 To test whether your VPN works for unblocking, you can simply connect to your VPN and then test whether you can visit the otherwise blocked websites. For example, you can type in the URL twitter.com in your browser and see if you can open up Twitter’s website. If you can see the contents from the blocked site instead of an error message, then congratulations, your VPN is working. Besides being a unblocking tool, VPN is often used for changing one’s IP address in order to bypass geo-blocking or geo-targeting. For example, if you visit Netflix.com from Hong Kong, you will see Neflix’s Hong Kong website with contents targeting Hong Kong visitors, which will be different from those for U.S. visitors. How can Netflix tell where you are visiting from? Well, your IP address gives away that information. Each computer connected to the Internet has a unique IP address, which can be looked up to reveal the computer’s physical location. If you connect to a VPN, however, your computer will show a different IP address, which could be an IP address in another country. For example, if you are in Hong Kong and connect to your VPN providers’ U.S. server, and then you open up Netflix’s website, Netflix will show its U.S. contents to you, because now your IP address belongs to the U.S. By using a VPN, you have “fooled” Netflix to think you are actually sitting in front of a computer in the U.S.
How do you test whether your VPN is working for changing your IP address? To find out your own IP address, you can visit Google and search for “what’s my ip”. Your IP address will show up on the result page. You can do this test before and after you connect to a VPN and see whether your IP address has changed. If the results are different, that means your IP has changed. In addition, you can verify the location of your new IP address. You can do so by visiting dnsleaktest.com. Once you are on that site, it will show you your current IP address, along with the location of this IP address. 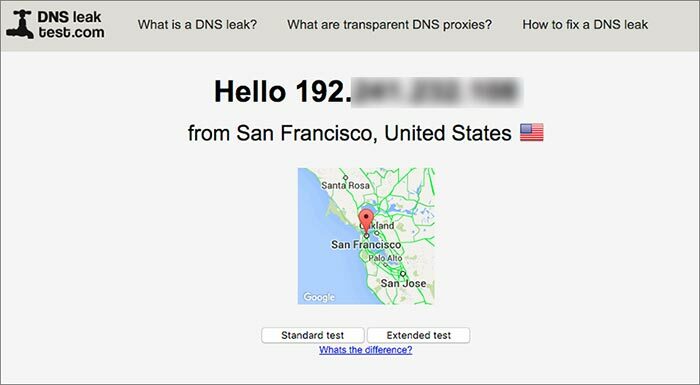 Visiting dnsleaktest.com before and after you connect to your VPN can help you find out whether your VPN has succeeded in changing your IP to the desired location. How to Test VPN Speeds? A popular website for testing Internet speed is SpeedTest.net. It can show you the Ping speed, the download speed and the upload speed of your current Internet connection. To use it, just visit SpeedTest.net using a web browser. After the page has finished loading, it will show a map with your rough location marked on it. You then click on “Begin Test” to begin the test, which might take a little while to finish. When the testing is done, you can see the Ping speed, the download speed and the upload speed showing up. For the ping speed, the lower the better. For the download and upload speeds, the higher the better. 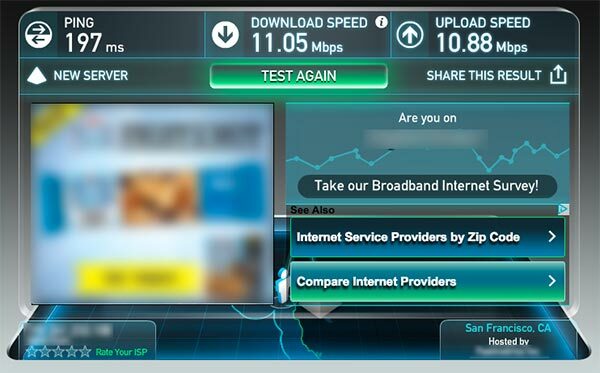 You can use SpeedTest.net to test whether your VPN is fast enough. You can do the same test before and after you connect to your VPN to check whether your Internet speed has been slowed down by the VPN connection. Note that it’s common that your Internet speed will be lower after you have connected to a VPN. As long as it’s a decent speed, your VPN should be OK. SpeedTest also has mobile apps for iphone, android phone and tablets. You can use these apps to test VPN speed on your mobile devices. Above are three basic methods for testing a VPN service. When you shop for a VPN, you should take advantage of VPN providers’ free trail or money-back guarantee policy to try out their service before buying. Selecting a VPN provider is not as easy as comparing prices and then picking a cheap VPN. You should test their speed and stability. Also, you should pay attention to things like feature restrictions, such as: how many simultaneously connections (or called multi-logins) are allowed for this VPN? Are torrenting and P2P file sharing allowed for this VPN? What VPN protocols are supported? Does this VPN offer client software or apps for PCs and mobile devices? When you have doubts, contact the VPN provider’s customer support and see if they can offer good help. This could be an additional test for the VPN provider. This entry was posted in VPN Guide and tagged guide. Bookmark the permalink.